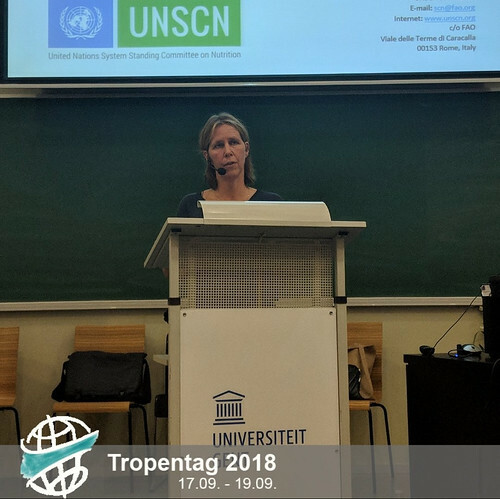 Dr. Stineke Oenema, the coordinator of the UN Standing Committee on Nutrition (UNSCN), explained how the UNSCN folds out a set of actions in order to advocate for nutrition in the governmental level of the countries. The UNSCN gathers FAO, WFP, IFAD, UNICEF, UN Woman, WHO, UNEP, UN-DESA, UNHCR among others UN agencies. It was created with the aim of catching the attention of governments to focus on implementing comprehensive and articulated initiatives to address the main nutritional problems in the world. Under a universal scope facilitated by UN System, the UNSCN promotes intersectionality to address all forms of malnutrition, focusing on vulnerable groups and global issues. This is aimed at formulating concrete products, i.e. the construction of policy coherence. Although the majority of countries are more conscious regarding the importance to include nutritional approaches to their national development programs, the consensus on HOW TO DO IT and WHO WILL DO IT still remains in questions. “The nutrition is everyone’s business but no one’s responsibility,” says Dr. Oenema. This situation and the complexity of nutrition dimensions leads to a lack of interventions based on evidence, detached from the international recommendations and often isolated to other sectors. 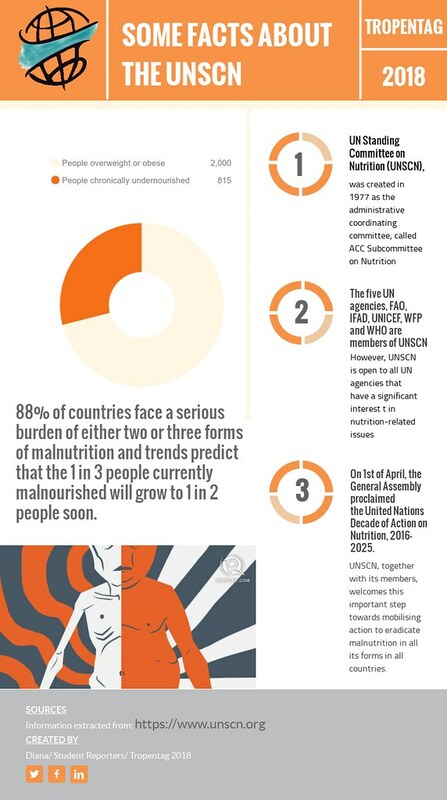 In this sense, the UNSCN action is to elevate a nutrition approach through cross-sectional issues such as food systems, health systems, diets, social protection, migration, rural transformation and climate change. This encompasses the widespread collection of data from government sources as efficient and thorough as possible for opportune responses, which should be fed by their national institutions as well as allied organizations. In this sense, the engagement of civil society organizations and NGO’s is crucial in order to reach deeper layers on the local level. Finally, Dr. Oenema reminds us to go out further and engage with all sectors: agriculture, production, natural resource mining, education, etc. For example, the effects of mining in water and soil quality can be key determinants for the nutritional status of communities. We need to show the potential of nutrition in various steps and speak the same language. We have to keep pushing the nutrition in the mainstream. As Dr. Oenema says, “Let’s go out and start working together!”.